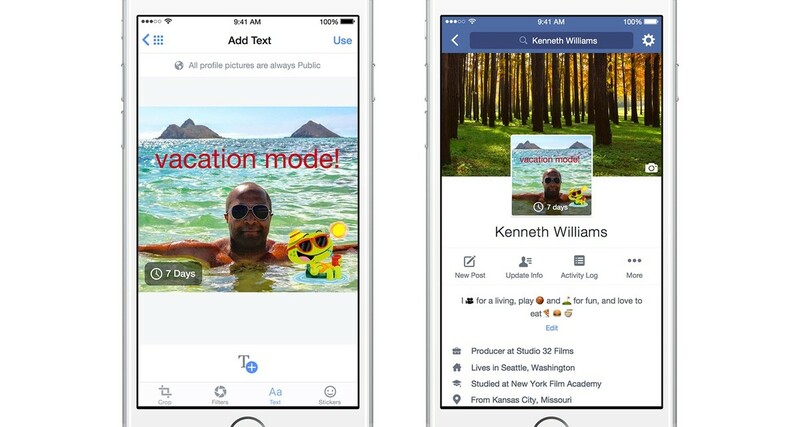 Facebook profiles for mobile are about to change — for some. In a limited trial for iOS users in California and the UK, Facebook is testing new controls and layout features. In what Facebook calls the “obvious evolution of profiles,” looping videos may be added instead of a profile picture. Users can record a simple greeting, or choose a favorite snippet from a recent event they attended. You may want to celebrate throwback Thursday with a pic of you as a kid, or a pic of you at a game when your favorite team is playing. If you were on vacation for a month, you could choose a picture of you relaxing to let everyone know you were not glued to social media. Profile controls are also getting a bit more granular. A space at the top of the profile will be customizable, and test users can alter the visibility of it. There’s also a new ‘bio’ field — a one-liner about who a user is or what they do for a living. All of this compliments a new design for Facebook profiles. The profile picture is now centered, and larger. Additionally, Facebook says its making pictures of mutual friends easier to see when someone visits the page of a new acquaintance. Again, this is all experimental — but Facebook says these features will roll out to more users soon.